The strategy which the government has adopted is merging one weak bank with its stronger counterparts. In this case, the weaker bank is Mumbai-based Dena Bank. The lender came under prompt corrective action of the RBI in May 2017 in view of high Net NPA and negative RoA (return on assets) and now faces restrictions on lending and several other bank operations. The announcement of Bank of Baroda, Dena Bank and Vijaya Bank merging into a single bank is part of the government's strategy to merge public sector lenders and promote consolidation in the sector marred by loads of non-performing assets (NPAs). All the 38 listed banks accounted for gross NPAs totalling over Rs 10.17 lakh crore in the quarter ended March 2018. Cleaning of the balance sheet and minimising NPAs is the objective of the latest merger announced by the government. On May 12, 2018, the Reserve Bank of India asked the lender not to issue any fresh loans and hire new personnel as part of its restrictions under prompt corrective action. A day after the announcement, the stock hit upper circuit of 19.75% on the BSE. On the other hand, Bank of Baroda stock closed over 17% lower on the BSE. The reason is obvious: Bank of Baroda is the largest among the three and will take a hit on its asset quality post merger with Dena Bank. We explore the financials of the three lenders in details to find out how the three made ideal candidates for a merger. Dena Bank's net loss for the fiscal ending March 2018 widened to Rs 1,923.15 crore compared to a loss of Rs 863.62 crore for the fiscal ending March 2017. In fact, during the last three fiscals, the bank posted net loss amounting to Rs 3,722.09 crore. However, for the fiscal ending March 2015, the bank posted a net profit of Rs 265.48 crore down from Rs 551.66 crore for the fiscal ending March 2014. The fall in net profit of the bank can be attributed to a rise in NPAs over the years. Gross NPAs of the bank rose from Rs 2,616.03 crore for the fiscal ending March 2014 to Rs 16,361.44 crore for the fiscal ending March 2018. Similarly, net NPAs of the bank rose from Rs 1,818.92 crore in the fiscal ending March 2014 to Rs 7,838.78 crore crore for fiscal ending March 2018. Bank deposits fell from Rs 1,17,430.96 crore for the fiscal ending March 2016 to Rs 1,06,130.14 crore in the fiscal ending March 2018. Similarly, advances for the fiscal ending March 2018 fell to Rs 65,581.51 crore compared to Rs 82,328 crore for the fiscal ending March 2016. The above figures throw light on the deteriorating financial condition in the state-run lender over the last few years after which RBI had to intervene and bring the lender under preventive corrective action. The Bangalore-based lender is on a better financial footing than its weaker counterpart Dena Bank. Net profit for the fiscal ending March 2018 fell to Rs 727.02 crore compared to a net profit of Rs 750.48 crore for the fiscal ending March 2017. However, net profit rose to Rs 750.48 crore from Rs 381.80 crore for the fiscal ending March 2016. In fact, Vijaya Bank is the only lender among the three to post net profit in last fiscal. During the last three fiscals, the bank posted net profit amounting to Rs 1,859.3 crore compared to Dena Bank's net loss of Rs 3,722.09 crore for the same period. Gross NPAs of the bank rose from Rs 1,985.86 crore for the fiscal ending March 2014 to Rs 7,526.09 crore for the fiscal ending March 2018. Similarly, net NPAs rose from Rs 1,262.37 crore in the fiscal ending March 2014 to Rs 5,021.24 crore for fiscal ending March 2018. However, on the deposits front, the bank seems to have clocked a healthy growth during the last five fiscals. Deposits rose from Rs 1,24,296.16 crore for the fiscal ending March 2014 to Rs 157,287. 54 crore for the fiscal ending March 2018 depicting a 26.54 percent rise over five years. On the other hand, advances for the fiscal ending March 2018 rose to Rs 116,165.44 crore compared to Rs 81,504.03 crore for the fiscal ending March 2014, depicting a 42.52% growth over five years. The Vadodara-based lender is the largest lender among the three banks. It did not perform well in the March 2018 fiscal as the bank posted a net loss of Rs 2,431.81 crore amid rise in provisions and contingencies and NPAs compared to net profit of Rs 1,383.13 crore for the fiscal ending March 2017. In last five years, the bank reported the highest net profit of Rs 4,541.08 crore for the fiscal ending March 2014 and the highest loss of Rs 5,395.55 crore for the fiscal ended March 2016. In fact, the lender posted a net loss of Rs 6,444.23 crore during the last three fiscals. Gross NPAs of the bank rose from Rs 11,875.90 crore for the fiscal ending March 2014 to Rs 56,480.39 crore for the fiscal ending March 2018. Similarly, net NPAs rose from Rs 6034.76 crore in the fiscal ending March 2014 to Rs 23,482.65 crore for fiscal ending March 2018. However, on the deposits front, the bank logged a zigzag pattern of growth during the last five fiscals. Deposits rose from Rs 5,68,894.39 crore for the fiscal ending March 2014 to Rs 5,91,314.82 crore for the fiscal ending March 2018. Deposits crossed the Rs 6 lakh crore mark twice for fiscals ended March 2017 and March 2015 but could not sustain the momentum. On the other hand, advances for the fiscal ending March 2018 rose to Rs 4,27,431.83 crore compared to Rs 3,97,005.81 crore for the fiscal ending March 2014, depicting a 7.66% growth over five years. 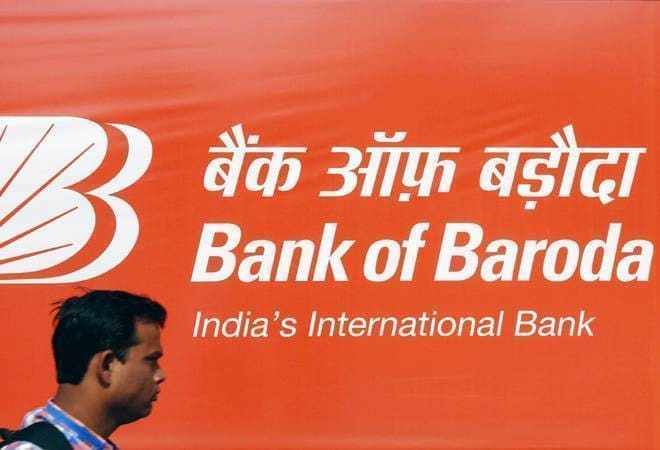 The above figures signal that even as Bank of Baroda (BoB) is the largest among the three banks but it has its own share issues such as rising NPAs and provisions and contingencies amid volatile deposits and advances growth. With Dena Bank joining the merger process, the quality of BOB assets will only suffer as it would have to deal with rising toxic assets of its weaker counterpart. Similar is the case with Vijaya Bank. The bank is the healthiest among the three when it comes to financials but being a public sector lender, it could not also escape from the vicious cycle of NPAs which now plague the entire sector. It seems Vijaya Bank with its healthy loan, deposit growth rate and stable net profit growth rate, neutralises the adverse impact of Dena Bank's inclusion in the merger with its errant track record on the financial front and makes for a comfortable financial merger for bank of Baroda.